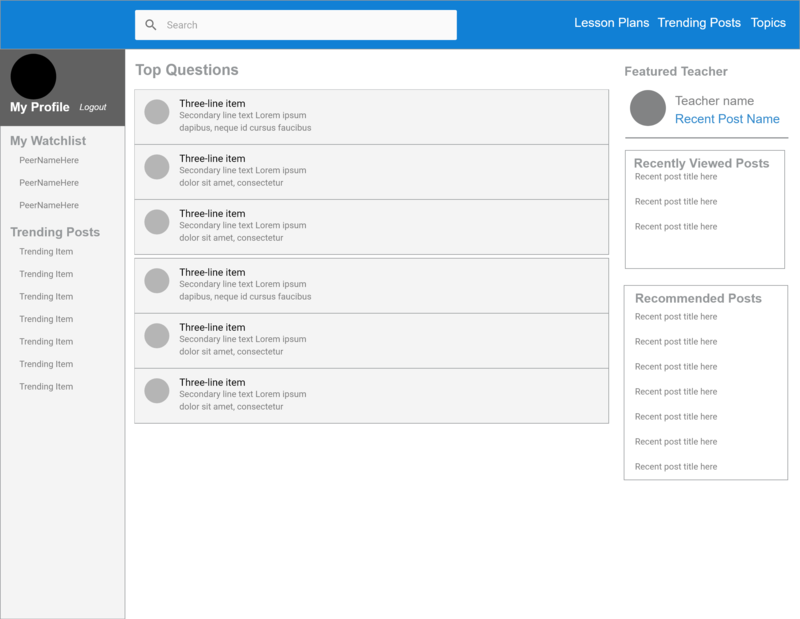 A conceptual website forum prototype to help new teachers and more experienced teachers share knowledge and resources about the teaching process. 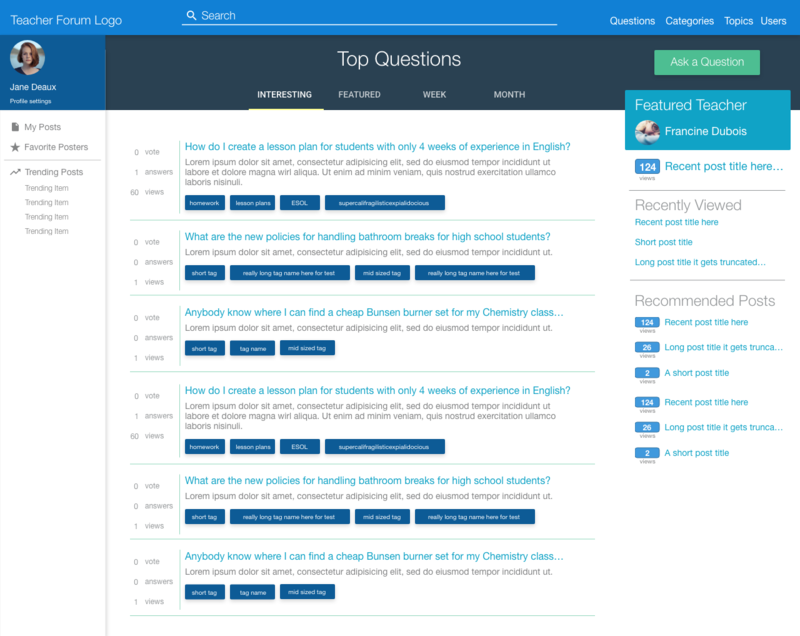 A conceptual website where new and experienced teachers can share knowledge and resources. I spent some time trying to understand the problem by looking for tools that do this today.